Unisex t-shirt, heather peach colour, featuring a crew neck, short sleeves and designed with superior combed and ring-spun cotton. 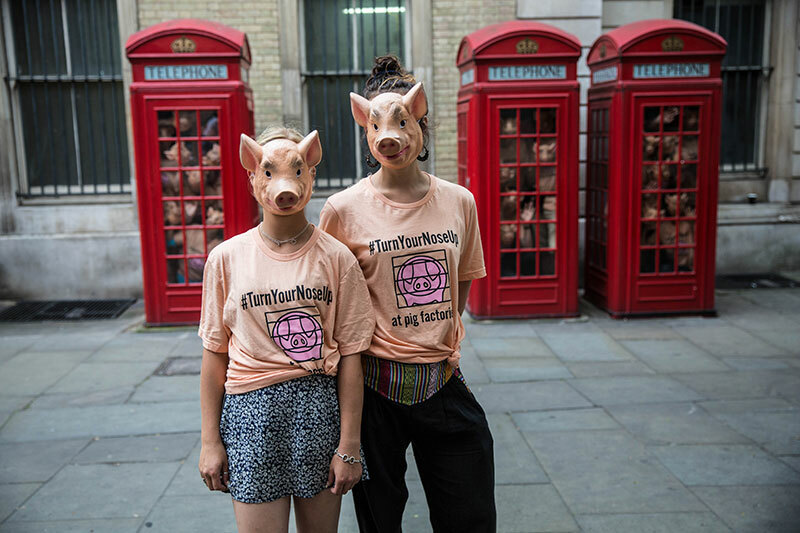 We used this same t-shirt design during our June 2017 London campaign launch stunts. 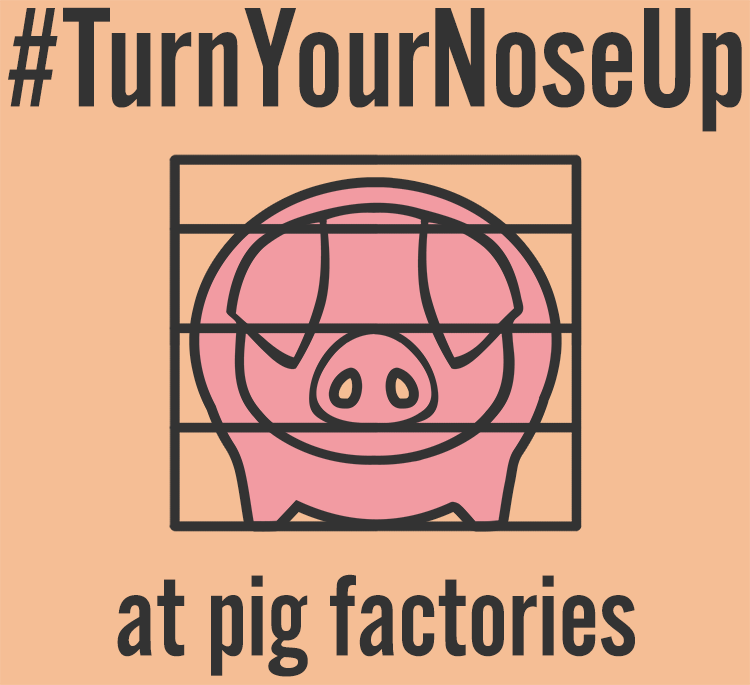 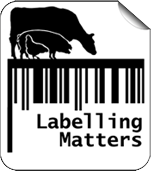 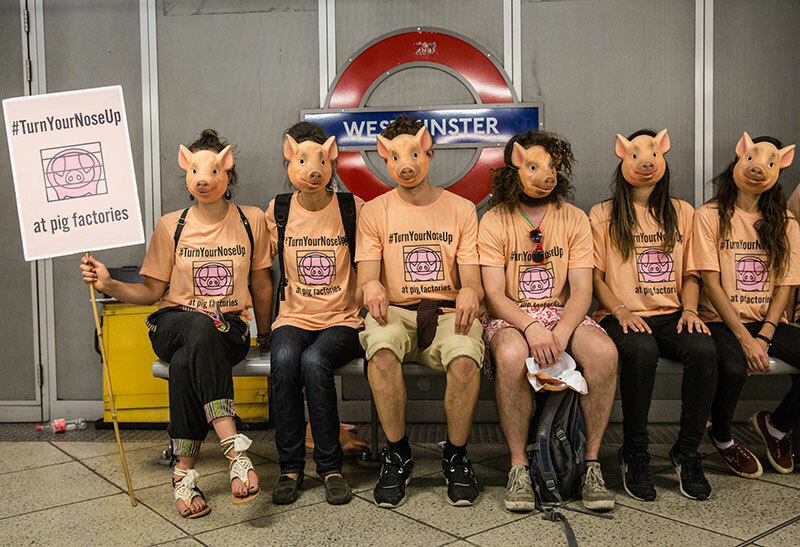 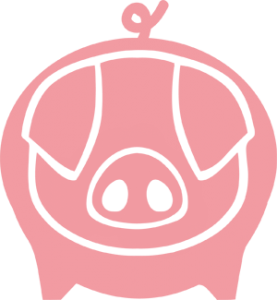 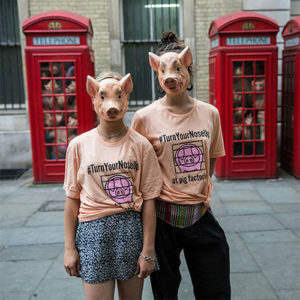 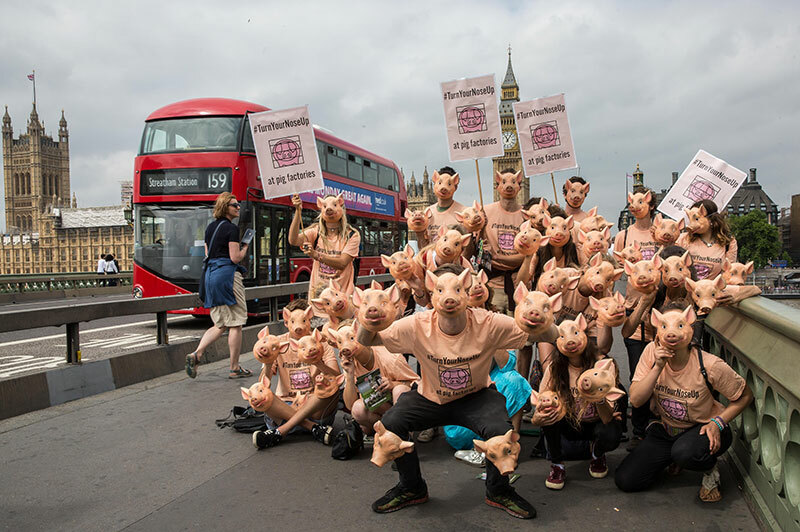 We took to the streets of London and crammed into a black cab, double decker bus, train, elevator and red telephone boxes to raise awareness of the cruel conditions faced by pigs in factory farms. 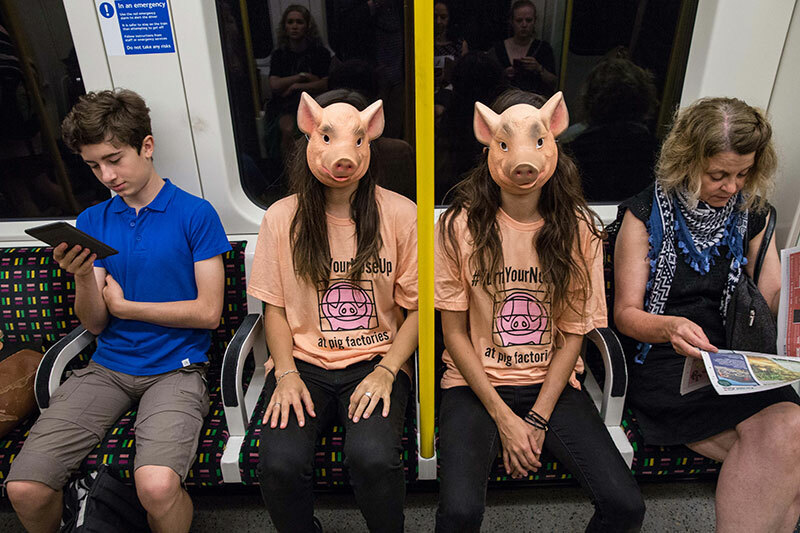 Watch a short video about the stunts here.